i saw your blog featured in martha stewart living the other day! congrats - what an honor!! 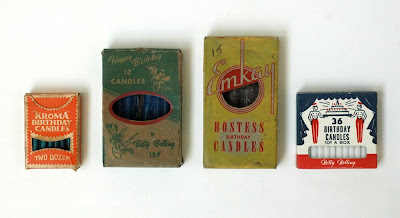 It's neat to think that candles would last long enough to be collected! I think its sad these birthday candles have never experienced the cake, the song and the wish of lights out. I just found out about your blog through Martha Steward Living and it is awesome. I am so inspired by and in love with it. April, The Twentieth, Two thousand ten. 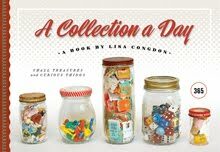 I collect glass animals, candies, and marbles and I think your blog is very inspiring. I look forward to tuning in for as much as I can for the remainder of this year. Keep up the good work Lisa! Whenever I lead a class or a discussion on writing, I stress the importance of detail. You've captured the very heart of detail in the loveliest way.